Netherlands is one of the countries with a strong image. When we think of it, we think of windmills slowly rotating on a flat landscape, perhaps with a riotous display of tulips waving in the foreground, of crowds of cyclists pedalling the cities in unison, of café culture and art history. And we also think of Amsterdam, with its canals, classical buildings, museums and warren of streets. This multi-cultural city is close to home yet feels utterly different. It’s a place where one street is packed with stag dos, fancy-dressed and on a mission, while the next is made up of couples sedately exploring famous houses or studying work by the Old Masters. In other words, it’s a city for everyone, whether you want to cruise the canals, cram in the culture or go large at night in the city’s vibrant electronic dance music scene. Throw yourself into this city and you’ll unearth buildings of beauty, welcoming locals and seemingly countless places to eat, drink and be merry. The Dutch know how to build a city. When you first arrive in Amsterdam, you may feel initially confused by the canals and the bridges that cross them, the alleys leading to squares, the atmospheric shortcuts. But once you’ve spent a few hours exploring, it all starts to make sense, and there’s the small, pleasant jolt of discovery around nearly every corner. 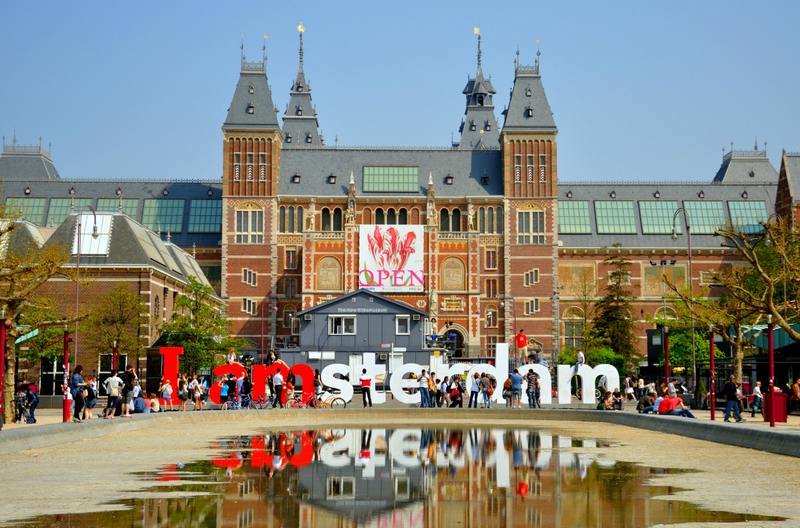 The list of attractions in Amsterdam is as long as you want it to be. Come for the culture or the clubbing and you’ll still run out of time. Maybe start with the big hitters sitting behind glass display panels and velvet ropes in the city’s plethora of stunning museums. You can span centuries in a day by taking in the Rijksmuseum alone, home to thousands of paintings including work from Vermeer, Rembrandt and Van Gogh. It does get busy, however, so try to hit it outside of peak hours. If you’re fans of the aforementioned Vincent, then the Van Gogh Museum is probably already on your agenda. It contains the world’s largest collection of paintings by Van Gogh, as well as contextualising work by Monet, Toulouse-Lautrec and more. Get a unique insight into the life of an artist by visiting the Rembrandthuis, the home where he once lived and worked. For more up-to-date art, the Moco Museum spans the likes of Warhol and Lichtenstein, but also more recent provocateurs such as Banksy. 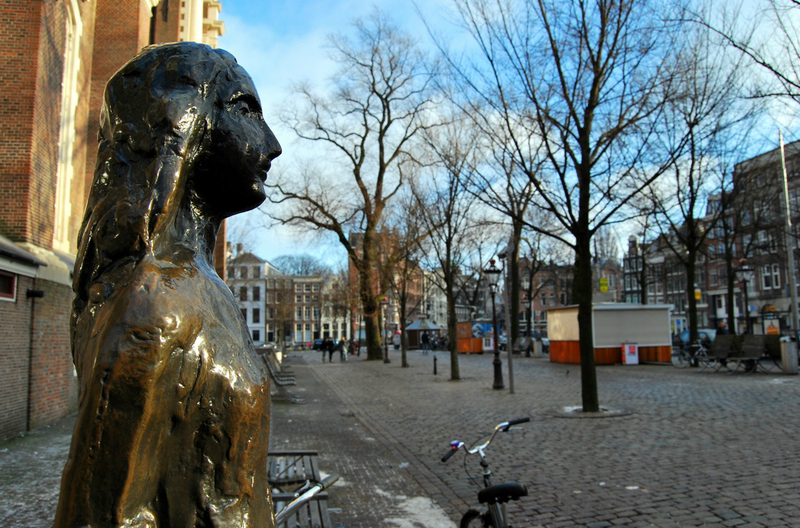 History can be told in different ways, of course, and the Anne Frank house paints a more complex picture of recent times. Hundreds of thousands of visitors come here every year to hear the story of the Jewish girl who hid from the Nazis, and the diary itself, on display in a case, is a telling legacy of the era. You can also see the secret annex where Frank, her family and the Van Pels hid for two years. 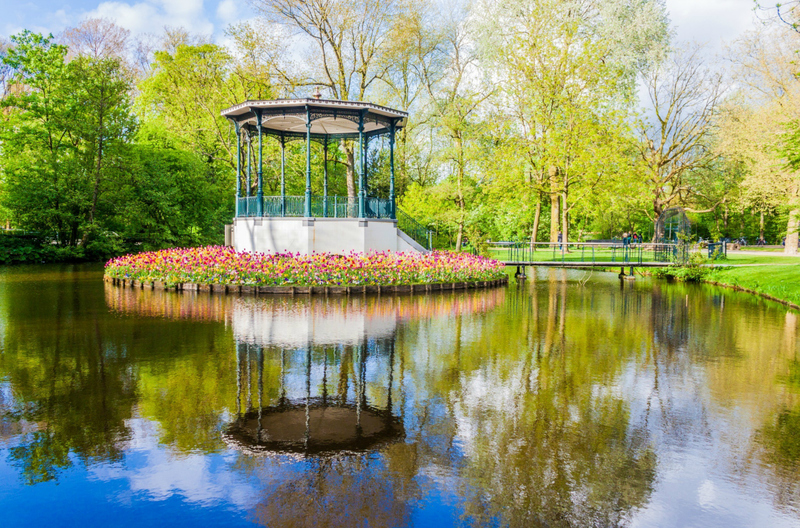 The Netherlands feels like a cradle of democracy these days, but Vondelpark was forbidden to the hoi polloi until 1953 – before that only the rich could use this gorgeous park. On a sunny day it’s the highlight of the city, with manicured lawns leading to footbridges over ponds where swans swim sedately. Pick up some food and drink and enjoy a heavenly picnic here. This being Amsterdam, there’s bound to be something happening. Arrive in late April for King’s Day, a celebration held on the 27th of the month, every year. The streets will be awash with people clad in orange, carousing all day and into the night. The same month – for the whole month – sees the Tulip Festival take over, with blooms in every part of the city. Throw in the endless round of music festivals that pepper the city, the Fringe and the splendour of Amsterdam Pride, and there’s never a dull moment with the Dutch. Want to know where to eat in Amsterdam? Look no further. You’ll need help narrowing down the choices in a place with an embarrassment of culinary riches. From Michelin-starred sushi joints to traditional Dutch food and all points in between, it’s a fantastic city for foodies to delight in. It can be hard to choose which Michelin star restaurant in Amsterdam to try first. Perhaps the Japanese serenity and superb sashimi of Yamazato? A wise choice. You’ll have to book ahead at Librije’s Zusje, where chef Sidney Schutte recently attained a second star for his take on Dutch food married with Asian influences. Langoustine with kimchi, peanut, oyster and black pudding is a world beater of a dish. If you’re on the hunt for vegan restaurants in Amsterdam, you’re also spoiled for choice. Go for the renowned burger with a side of shawarma fries at the Vegan Junk Food Bar, or the smoked ‘salmon’ bagel at Meatless District. The former is a great choice if you’re using a hire car in Amsterdam, as it doesn’t serve alcohol. The popular Mr and Mrs Watson has a reputation for ingeniously brilliant vegan cheeses: make sure you order the fondue and save room for the cheese platter. You can’t leave the city without trying Dutch pancakes or the ubiquitous stroopwafel. Both are superb at The Happy Pig, with savoury and sweet fillings, plus options for those both vegan and not. In search of cool restaurants in Amsterdam, sometimes it’s better to avoid the tourist hubs and make some of the hipper neighbourhoods and districts. De Pijp has been enjoying a ‘moment’ recently, a bohemian place that’s just south of the centre and thus blissfully bereft of tourists. Here you’ll find the Okura Hotel, home to the aforementioned Yamazato with its Michelin star, while upstairs is Ciel Bleu, which has a brace. Opt for the latter if you want views. There are dozens of less formal places in De Pijp, however, such as the cosy and fun Little Collins. It does an exemplary brunch, but also serves up treats such as salmon with Pernod in the evenings. With romantic boltholes in the centre of the action, boutiques on the outskirts and all the chains you’d expect, it’s easy to find hotel rooms in Amsterdam. For sheer luxury, it’s hard to look past the Waldorf Astoria. Built by converting half a dozen canalside mansions, retaining many of their original features, it offers cossetting comfort and sensational views. There are Rococo elements, stucco and marble galore, spacious rooms and the Librije Zusje restaurant under the same roof. On arrival you may even be invited to choose one of a range of signature perfumes - your choice is then applied to your bedlinen. You don’t get that at Travelodge. For perhaps the quirkiest stay – without the luxurious trappings – the bridge houses dotted around the city are being converted into rooms for adventurous travellers. SWEETS hotel, as it’s dubbed, takes places where bridge operators once worked and now turns them into simple but charming rooms next to a canal. Rates vary, but the official site is also admirably transparent, giving each of the rooms a noise pollution rating. Perhaps a third way appeals? Over in Amsterdam-Oost, Zoku eschews check-ins, opts for communal areas, rooftop hammocks and an honesty bar. Rooms are somewhat snug ‘units’, but you can rent a loft with more space and a kitchenette. It’s not for everyone, especially families with young children, but the young-at-heart will love the vibe that captures something of Amsterdam’s own spirit. Make the most of your hire car – whether from the city or picked up at Schiphol Airport – and embark on a road trip around the Netherlands. It’s one of Europe’s most compact countries, quickly crossed and, with its flat profile, a pleasure to drive around. As you whip past the windmills – they’re not a myth – and the displays of tulips, you’ll soon be in Rotterdam. The second-largest city in the country, it’s known for its tech innovation, but also for its bridges, art museums and can-do attitude: this is a city built again from the ground up after World War Two. The canal-lined Delft is smaller and prettier than Amsterdam. 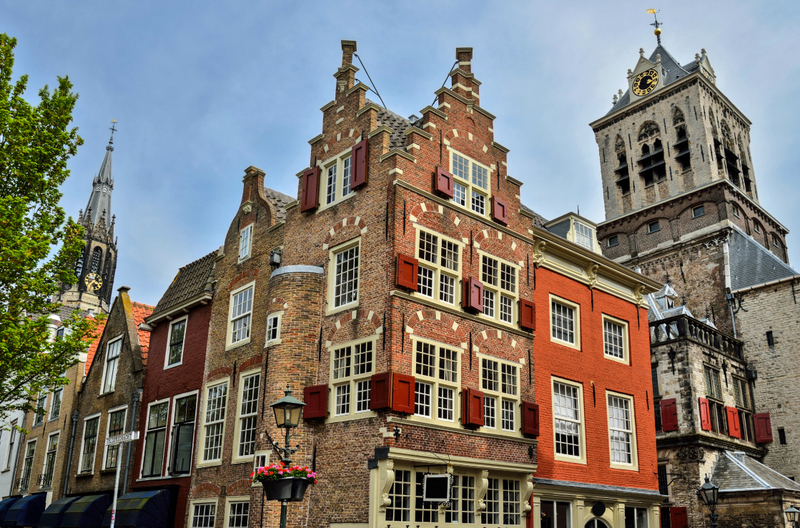 Here you can explore the medieval old town, find out about Vermeer, who lived here, and stock up on Delftware, the city’s famed pottery. After all this urban glory, make a day trip to see some of the Netherlands’ most gorgeous nature at the Hoge Veluwe National Park. You’ll spot deer among the fragrant forest trees, sand dunes and heathlands. There’s a hunting lodge and a museum, the latter housing the world’s second largest collection of Van Gogh paintings, as well as masterpieces from Gauguin, Mondrian and Picasso. Perhaps even better, the sculpture garden finds room for Henry Moore and Rodin. Amazing art and mouth-watering scenery – it sums up the Netherlands perfectly.